Valentine’s Day is just less than two weeks away, and if you haven’t thought of what present to get for your partner – we have the answer for you. So they say, “when someone gives you his/her time, s/he is giving you a part of their lives that they cannot get back.” Make the special occasion count, let Valentine’s Day be so memorable that the moments will be etched in your hearts forever. Every reason to splurge, every reason to pamper, and more than that, love should be frivolous and unrestrained. Over at Cook & Brew, the lively gastrobar at Level 33 of The Westin Singapore, the chefs have specially created a 5-course set menu ($260++ per couple, inclusive of a glass of Veuve Clicquot Rose per person) for all the lovebirds. Start the 5-course dinner with the finest selection of Seafood on Ice – Fine de Claire Oysters, Andaman Tiger Prawns, Marinated Black Mussels, Razor Clams. Next up is an appetising Grilled Octopus paired with grapefruits and spiced hazelnuts salsa verte, as well as a Truffle Housed Smoked Bacon Soup with Kale and Butternut. For the mains, the House Brined & Seared Waygu MS8 Short-Rib Corned Beef Style will please every meat lover. And what’s Valentine’s Day without some pretty desserts? The Cast Iron Cinnamon Brioche French Toast with a scoop of walnut ice cream and maple syrup is one lovely sweet treat to share with your partner. Regular readers will know that we are big fans of Seasonal Tastes for a few reasons – a wonderful view of Marina Bay and the south coast of Singapore, a super convenient location in the heart of the Central Business District, and an ever-changing buffet lineup that never fails to surprise us at every visit. For Valentine’s Day 2015, the buffet dinner at Seasonal Tastes is S$108++/pax and it is inclusive of a glass of champagne and free-flow soft drinks. And we are pretty sure the ladies will be so thrilled about the desserts shrine. 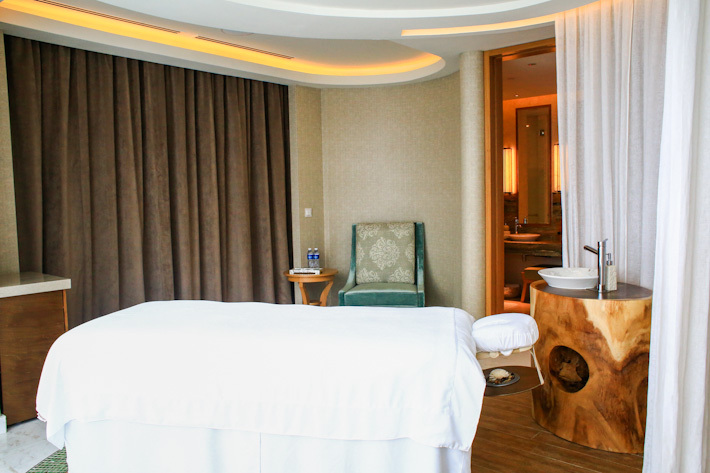 Treat your partner to a 90-minute Berry-licious treatment (S$230++ per person) at Heavenly Spa by Westin™. Brimming with powerful anti-oxidants and natural fruit acids, this Belly-licious treatment also comes with a 30-minute Blueberry Scrub and 60-minute Blueberry Massage. The promotion is valid between 9 to 22 Feb 2015. To find out more about The Westin Singapore’s Valentine’s Day specials, go to TheWestinSingapore.com, ‘like’ The Westin Singapore on facebook, and follow them on Instagram. This post is brought to you by The Westin Singapore. Anytime is a good time for steaks, but SKIRT at W Singapore – Sentosa Cove is one chi-chi steakhouse that we prefer to reserve for dates with the discerning loved ones. And this is why this Valentine’s Day, there is nowhere better than romancing your date with an unforgettably lavish dinner at SKIRT. After all, you need a reliable outlet where the service is impeccable and professional, and SKIRT is ideal with its mix of elegance and chic factor. This Valentine’s Day, SKIRT presents a 5-course dinner menu (S$350++ for 2) with a bottle of Auris Spumante Brut. Wake your palate up with a trio appetiser, the Titanic – starring the Tuna Tartar with avocado puree that is a brilliant blend of the fish’s freshness and the rich taste of the creamy fruit; luxurious chicken pate accompanied by fragrant homemade roasted chicken crackers; and cured halibut with grapefruit that is a refreshing juxtapose to the first two strong flavours. Quite a myriad of flavours and textures to begin the evening, indeed. Succeeding the trio is the Casablance that further pays homage to the ocean’s freshness – generous chunks of crab meat with tomato jelly and an apple sphere beautifully set in a martini glass. Moulin Rouge Champagne & Roses will take your breath away – seared scallop covered with champagne foam and rose petals. Nothing quite like celebrating the love in the air with a gorgeous dish like that. Every bite is pleasure to remember. When Harry met Sally is when we indulge in a main course of Steak Sandwich – Black onyx sirloin with Marrow crumbs, tomato and onion puree. The meat is served medium, and the marrow and bread crumbs complemented the creaminess of the beef so well. Last but certainly not least, show your date how intricately delicate and poignantly rich your love is via the dessert of 5 textures of chocolate. We really loved the chocolate ice-cream! For more updates, follow W Singapore on Facebook, Twitter and Instagram. This post is brought to you by W Singapore – Sentosa Cove. Valentine’s Day is just a few weeks away, and we have sussed out two recent favourites for you to bring your date to. At the second level of The Arts House, overlooking the Singapore River is modern French Restaurant Olivia Cassivelaun Fancourt (OCF). We like OCF because it is intimate, chic and sophisticated, and serves a superb and well-thought through meal using the freshest produce. 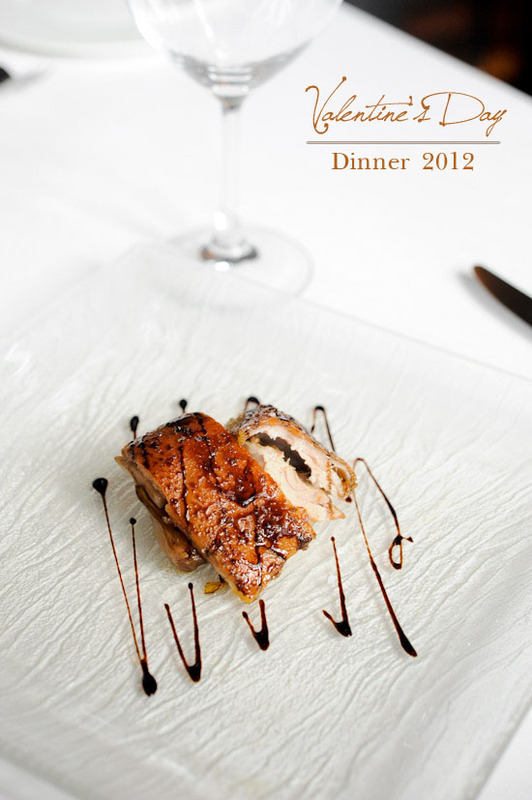 On 14 & 15 Feb, OCF is offering a 4-course dinner (S$168++/person) with a glass of Pierre Paillard Grand Cru NV champagne. There will also be live music brought to you by talented artistes from Timbre Group playing your favourite love ballads throughout the dinner. Start with a Maine lobster salad because you can never go wrong with the sweet crustacean. French Seabass with artichokes, oscietra caviar and vin jaune, wine made in the Jura region in France, succeeds the appetizer. The main course, Beef Tenderloin drizzled with bordelaise sauce and topped with foie gras, is the dream for all meat-lovers. Your sweet ending is the Valrhona Chocolate Royale with coffee crémeux and caramel ice cream. Be the first 50 to secure your reservation at OCF by making a 20% deposit, and stand a chance to win a ‘Kate Spade Tudor City Lacey’ wallet (worth S$350), sponsored by Reebonz.com. Please refer to OCF’s website for terms and conditions. For a more affordable option, head to Table Manners at Changi City Point. It is a casual, unpretentious and a fun space where you can go with your partner to celebrate Valentine’s Day. Or with a group of girlfriends for a great catch up. This Valentine’s Day, Chef Raphael Chua has prepared a 3-course dinner (S$52/person) which will be available from 12 to 15 Feb. For appetizer, you will be served the sweet Lobster Bisque with huge chunks of lobster flesh. There are two choices for main course: a 12-hour Braised Beef Short Ribs, or the beautiful oven-baked Atlantic Cod Fish that is encrusted with an ebiko sauce. Both main courses come with the truffle mash potatoes and eggplant caponata. Complete your dinner with a delectable serving of Hazelnut Opera, served with vanilla bean ice cream. The first 52 pairs of couples who order the Valentine’s Day set will receive over S$30 worth of beauty products, sponsored by L’Oreal. This post is brought to you by A Thousand Tales. For many, Valentine’s Day is a dreadful day as restaurants mark up their prices ridiculously. However, it is still possible to have fun celebrating Valentine’s Day – with your partner, your family, or a group of friends – if you know where to go. Here’s my guide to Valentine’s Day Dinner in Singapore 2013. 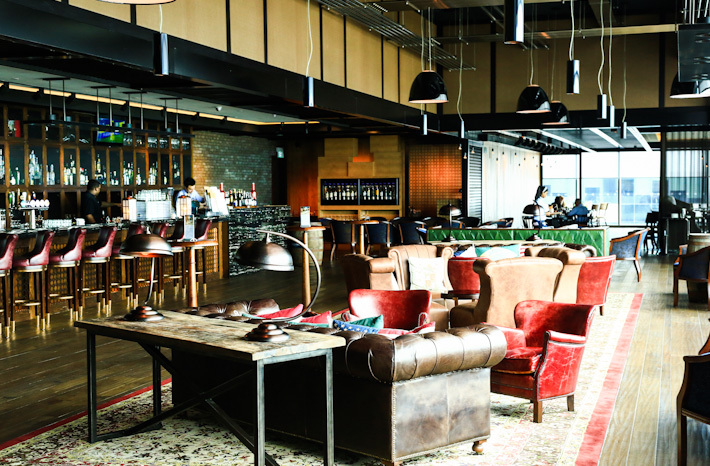 With twenty branches around the island, O’Coffee Club is one of the most recognised cafe chains in Singapore. For Valentine’s Day this year, O’Coffee Club has specially created a 5-course Epicurean dinner at their first outlet in Holland Village. There will be live band playing while you enjoy a scrumptious dinner. As this is a one-time special with an exclusive menu only available at Holland Village’s outlet for this Valentine’s Day, seats are limited. I will be celebrating Valentine’s Day with my partner there, and if you are thinking of where to go for a romantic dinner, why not join us on that special night? Besides the 5-course Epicurean Dinner on Valentine’s Day, O’Coffee Club has also lined up many treats for us in the month of February. Macarons lovers will be thrilled to know that the new creations include ‘Muddy Mud Pie Macaroon’, which is inspired by their famous ‘Muddy Mud Pie’ dessert and ‘CNY Pineapple Macaroon’. If you are looking for a Chinese New Year gift, O’Coffee Club’s ‘Haute Collection Pineapple Tarts’ ($6.80++ per box of 8) is the perfect thing to buy besides the usual mandarin oranges when you go visiting in the CNY. Also, their February’s high tea set ($8.50/pax) is one of the most affordable afternoon tea sets in town. That is the start of my tantalizing adventure with O’Coffee Club. Remember to sign up for the event, and we shall have a ball of a time celebrating Valentine’s Day at O’Coffee Club together. With Valentine’s Day just two weeks away, the question on everyone’s mind: where to go for a romantic date? Since Valentine’s Day falls on a Tuesday this year, I’d suggest celebrating it the weekend before, or a few days after. Unless both of you have violent objections and insist on celebrating it on the actual day, it really doesn’t make sense to pay so much just because it is February fourteenth. Here are some suggestions on where to go for Valentine’s Day Dinner 2012. I have received many emails asking me to recommend romantic restaurants in Singapore for Valentine’s Day Dinner. Many of you are probably trying to decide on a nice restaurant to bring your date, I hope that this list of Valentine’s Day Dinner Restaurants will help you make the decision.